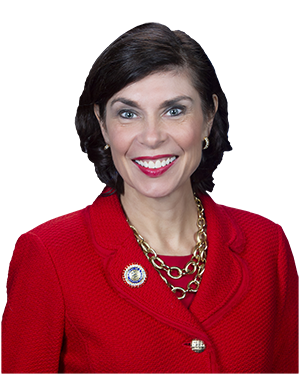 HARRISBURG – A new rule adopted today by the Pennsylvania Supreme Court’s Board of Law Examiners would remove barriers that prevent military spouses who are attorneys from practicing law in Pennsylvania, according to Senator Kristin Phillips-Hill (R-York). The new rule addresses the challenges that active duty military families face due to frequent relocations. Receiving a law license is a costly and time-consuming process which presents a significant obstacle for military spouses who may only be in the state for a matter of months or a few years. Over the past two years, Phillips-Hill worked with the Pennsylvania Bar Association and the Military Spouse J.D. Network to create a new model rule that would help military spouses apply to practice on a limited basis. As a member of the House of Representatives in 2018, Phillips-Hill also sponsored a resolution encouraging the Supreme Court to adopt rules that recognize the specific challenges facing military spouses who are attorneys. You can listen to Senator Phillips-Hill explain how this new rule will help military families here.